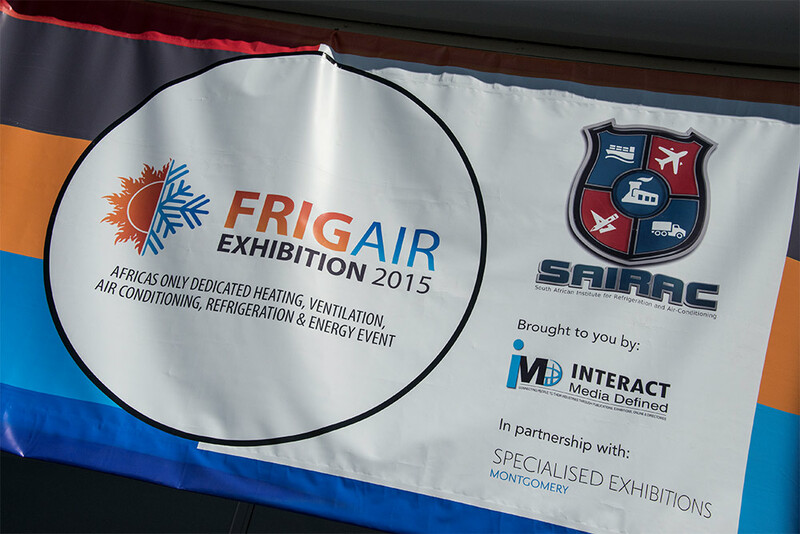 From 6 to 8 June 2015, Commercial Refrigeration Services (CRS) will participate in yet another FrigAir Expo at the Gallagher Convention Centre in Johannesburg. 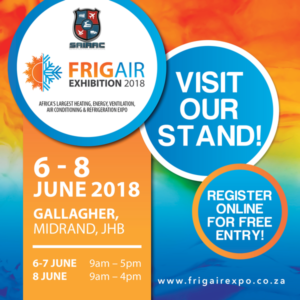 FrigAir is Africa’s only dedicated heating, ventilation, air conditioning and refrigeration show. Visit the CRS stand where attendees can learn more about our solutions’ functions and advantages. CRS alongside shecco with be hosting the first ATMOsphere Network! Join us to learn more about what the world is doing in terms of natural refrigerants and see for yourself how South Africa measures up against the rest of the world. Register online now to book your spot at Africa’s first ever ATMOsphere networking event, in association with shecco, which will be held during FRIGAIR 2018. 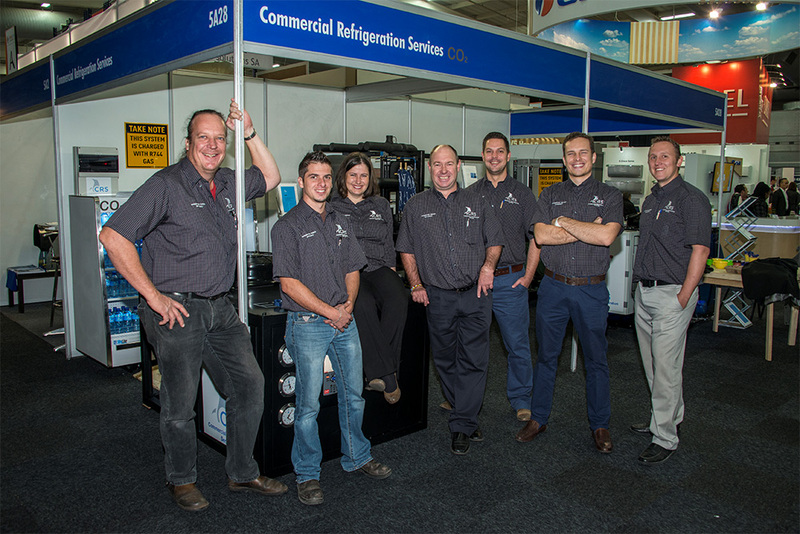 From 3 to 5 June 2015, Commercial Refrigeration Services (CRS) participated in yet another successful FrigAir Expo at the Gallagher Convention Centre in Johannesburg. 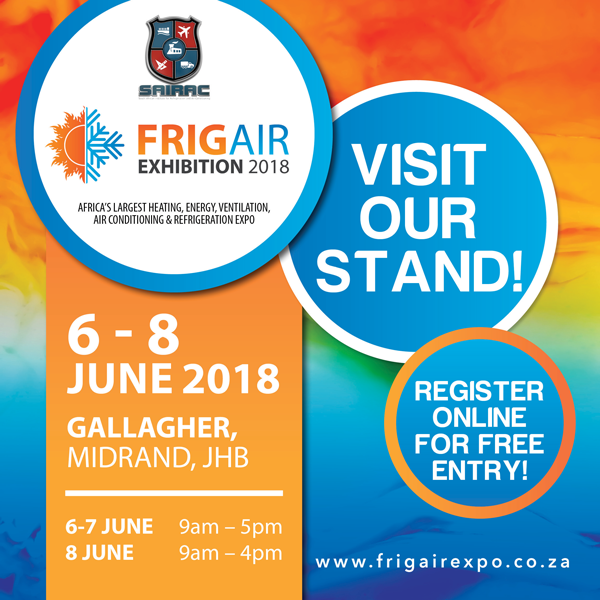 FrigAir is Africa’s only dedicated heating, ventilation, air conditioning and refrigeration show. After visiting the informative and always bustling CRS stand, attendees couldn’t wait to learn more about our solutions’ functions and advantages. Awe and astonishment quickly turned into aspiration, forming the new-found base for partnerships as we showcased our products. The feedback was immediate. Contractors, suppliers and end-users showed keen interest in buying, supplying and adding state-of-the-art CRS systems to their own establishments. Launching our new CO2 product range was a highlight of our participation in the expo. 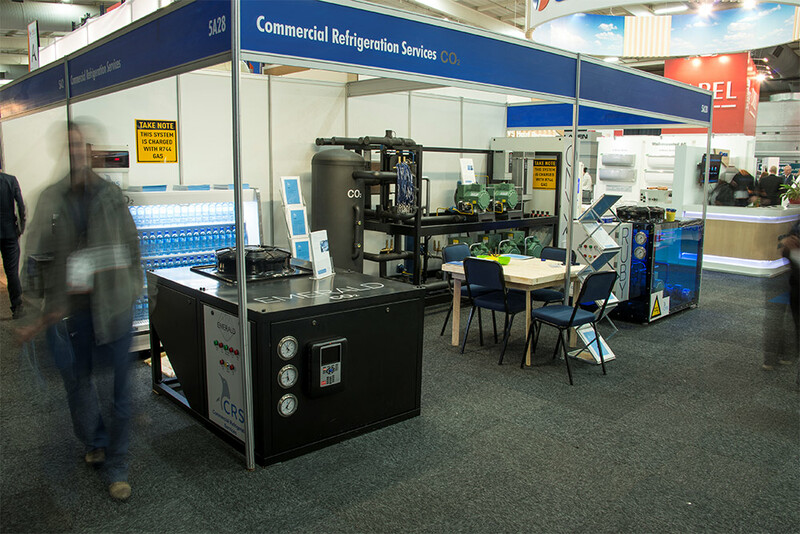 With the new systems on display, attendees could take a closer look at the first operating CO2 Condensing Unit in Africa, as well as the first available CO2 Heat Pumps on the continent. 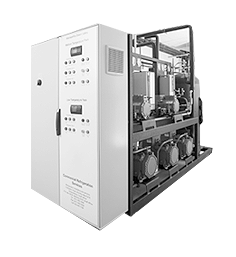 The benefit of having water temperatures of up to 90˚C by using a CO2 heat pump clearly creates a lot of opportunities within the heat pump industry! Overall, the show was a great success. We are determined to surpass our accomplishments and raise the bar at the next expo. Thanks to the CRS team for their effort to realise our goals and to share our technologies and services with existing and new clients and partners.